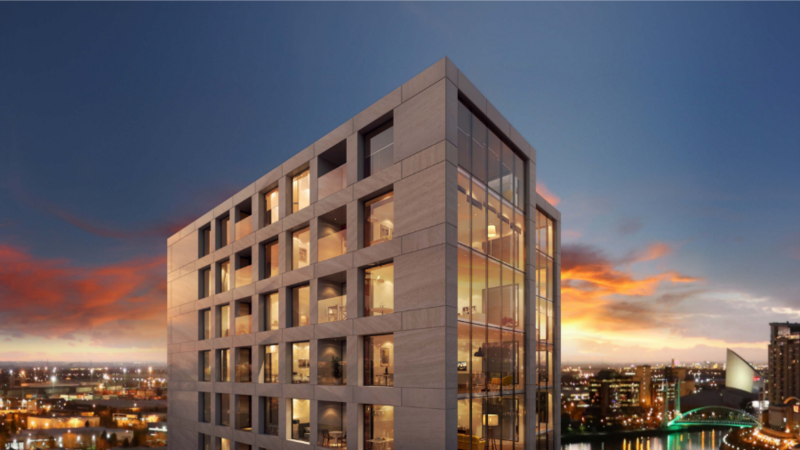 X1 The Gateway – situated on Trafford Road, within walking distance of Salford Quays – is a £33 million development comprising 191 one, two and three-bedroom apartments across 20 floors and is due for completion in early 2018. Amenities for the development include an on-site gym, residents’ car parking, secure bicycle storage, management office within the foyer and a ground-floor retail unit. A number of the properties will also benefit from large roof terraces and the double-height ground floor – with floor-to-ceiling glazing – will create a spectacular and welcoming entrance to the development. Andy Phillips, commercial director at Knight Knox, said: “We’re really pleased to be bringing another exciting development to market with X1, particularly with all of our previous joint projects having proven so popular. “Manchester and Salford’s buy-to-let scene continues to thrive and it’s no surprise; the region is making advances on all fronts and the expected yields – both rental returns and capital appreciation – are therefore tremendously promising. The scheme will be constructed by Forrest, with building expected to commence in June this year, and subsequently let and block managed by X1 Lettings. Melissa Green, operations and regional director at X1, said: “Following on from the success of our other schemes in conjunction with Knight Knox – including X1 The Plaza and X1 Media City, which is the North West’s largest residential development – we’re confident X1 The Gateway will be a hit. All of our completed sites together have 100 per cent occupancy rates, which is a reflection of the quality of the homes we deliver. To find out more about X1 The Gateway, or any other Knight Knox developments, visit www.knightknox.com.